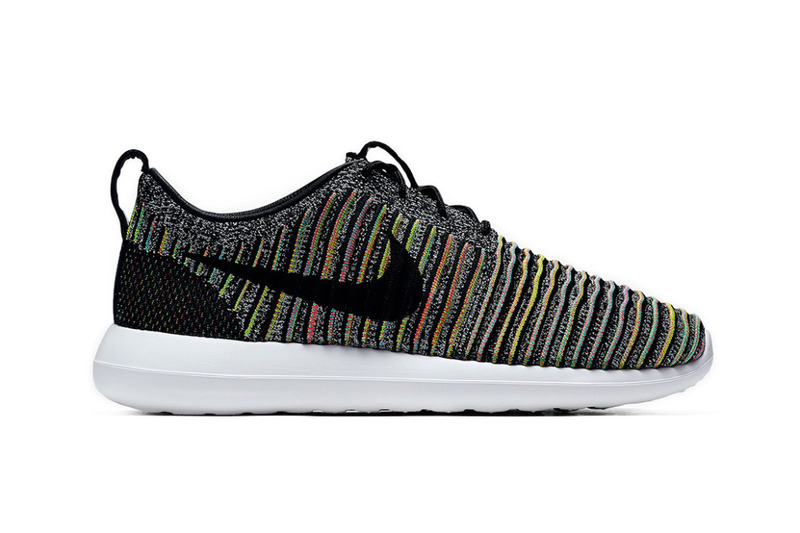 Nike Roshe Two Flyknit "Multicolor"
Two of Nike’s most popular features, the Roshe, and “Multicolor” are being combined on the newest version of the mainstream silhouette, known as the Roshe Two. Constructed of a comforting Flyknit upper, the vibrant “Multicolor” is one that many look for in Nike releases, most notably on the Flyknit Racer. A black Swoosh and heel tabs paired with an upgraded white midsole round out the look nicely. No release date has surfaced yet, however, retail price is set for $130, so be sure to follow @ModernNotoriety to stay up to date on the latest news, including more information on the Nike Roshe Two Flyknit “Multicolor”.